To kick off this weekend I'm sharing with you my collab with the lovely Elle of A Splash of Blonde. We'll both be sharing our love for denim vests in our own styles. Two blondes + one denim vest is a dangerous combo. I decided to style my denim vest in an outfit that I think is perfect as a casual look for transitioning from winter to spring. Although denim can feel industrial and heavy at times, I wanted mine to appear more feminine and soft by pairing it with a loose track pant and strapped wedge heels. Also, it doesn't hurt to have amazing accessories to spice up the neutral color pallet, such as my silver bauble statement necklace and mod circle sunnies (also a purse I bought in Italy that I'm madly in love with). 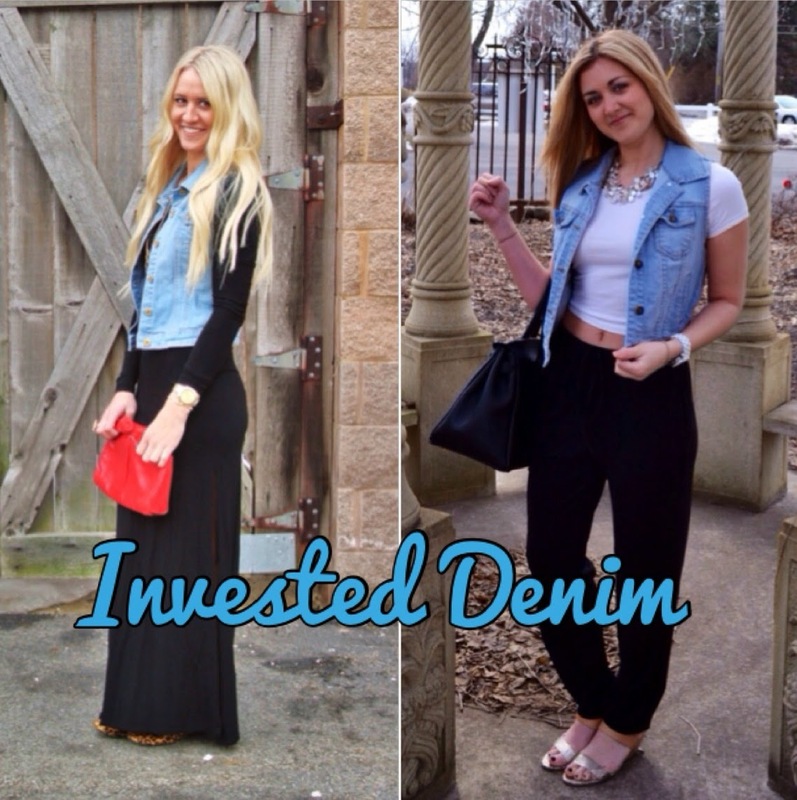 Denim can sometimes be an investment, especially when you're looking for a timeless piece to add to your wardrobe. However, being such a versatile fabric that it is, denim lasts a lifetime when treated well. If you're looking for the perfect piece don't be afraid to splurge! Here's to a great (and hopefully warm) weekend ahead!